Climate controlled facility monitored daily with scan points to ensure 55 degree temperature is maintained. 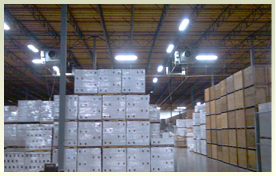 100,000+ Sq/ft facility to accommodate bonded and tax paid storage for wine. 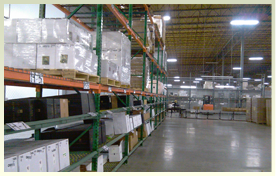 Inventory is managed online and we do cycle counts weekly and monthly to ensure accurate inventory counts. Our experienced staff packs and ships from our temperature controlled warehouse, ensuring that each job is done completely, safely, and efficiently.